Charles (Chuck) D. Maes, Ph.D.
Dr. Maes was born in 1925 in Colorado. After completing his undergraduate studies at the University of Denver, he obtained an M.S.W. in 1952 from Tulane University. Maes worked as a counselor for ten years in the Wisconsin State Probation Services and the Chicago Archdiocesean Catholic Services, where he met Anthony Barton. He was also introduced to van Kaam, and thus heard of the new program in psychology at Duquesne. He joined the Duquesne Psychology Department in 1961 as a staff counselor, assistant to Alice Wagstaff, Director of the Counseling Center. In 1978 Maes was awarded the doctorate in psychology by Duquesne University, and his dissertation was entitled The Silent Mode of Presence: An Integrational Study of its Dynamics in Psychoanalysis and Client-Centered Therapy. 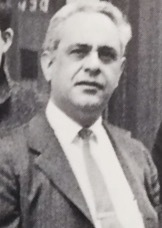 Maes then joined the faculty at Duquesne; from the beginning of his tenure, he taught courses in therapeutic psychology, supervised clinical trainees and contributed substantially to the formation of the clinical program. Together with Wagstaff, he helped establish a strong client-centered orientation for the Center. Over the years his thought and praxis were enriched by psychoanalytic and phenomenological contributions, influenced by the works of Alfred Schutz and Martin Heidegger. Maes also worked closely with van Kaam in the field of religion-personality and spiritual formation, and for 20 years engaged in presenting conferences and workshops in psychology and spirituality to religious communities throughout the United States, Australia, England, and Ireland. 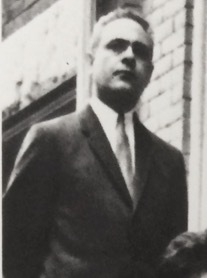 Since 1968, he served as Director of the Psychological Center for Training and Research in Phenomenological Psychology, the primary training facility of the department of psychology. He oversaw the counseling services provided primarily to undergraduates, supervised the therapeutic work of the graduate trainees, and coordinated field-work placements for doctoral students. Maes' latest therapeutic interest focused on the role of language in psychotherapy, the work of Paul Ricoeur and transformational grammar. Dr. Maes died in 1991. His personal library is now one of the collections in the Simon Silverman Phenomenology Center.